Across Europe, countries are clawing back the sovereignty they once willingly sacrificed in pursuit of a collective ideal. At the beginning of 2011, Belgium – a country apparently irreparably divided along national lines – handed over the EU presidency to Hungary, where hard-edged nationalism aimed not only at minorities, but also at the loss of autonomy that accompanies political union, has gained momentum. From the point of view of European integration, these and similar developments are deeply worrying. On the other hand, after the collapse of the Soviet Union, nationalism was seen as a liberating force: in Ukraine nationalism is associated not only with the aim to break Russian influence, but also with a strong urge to join the European Union. Does it make sense at all to talk in the same terms about contemporary nationalism in East and West? Ukrainian journalist and politician Andriy Shevchenko met Belgian author David Van Reybrouck in Lviv to discuss the re-nationalization of political life in Europe. Moderated by Sofia Dyak of the Foundation Center for Urban History of East Central Europe in Lviv. Sofia Dyak: In the 1990s, there was an explosion of books and articles analysing what was seen as a new nationalism on the rise. This phenomenon was mainly attributed to eastern and central Europe. It was linked to the collapse of the Soviet Union and associated with a powerful message of liberation. Now, in 2011, we are witnessing another nationalist trend in Europe, but of a very different kind. From Brussels and Berlin to Warsaw and Budapest, Europe is experiencing a re-nationalization of political life, with countries clawing back the sovereignty they once willingly sacrificed in pursuit of a collective ideal. What explains nationalism’s renewed importance and what distinguishes the various expressions of nationalism across Europe today? 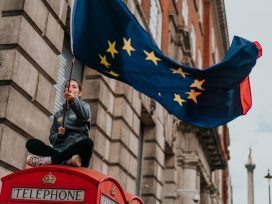 David Van Reybrouck: It is true, the basic idea behind the formation of the European Union was to move beyond the disasters that nationalism had brought in the 1930s and 1940s. But it has now become clear that with all its ambitions and all its idealism, the EU has not been able to get rid of nationalism; on the contrary, it has reinforced it. It was there in the 1990s after the collapse of the Soviet Union, it popped up in several places in eastern Europe. In western Europe, it was viewed with suspicion, but now it has become a force to reckon with, dominating the discourse there as well. I live in Brussels, I am a member of the Flemish-speaking population and I see how, over the past five, six, seven years, large segments of my own community have grown much more nationalist than they were in the 1990s. It’s a bit of a tragedy: the European Union was founded on the basis that we need to move beyond the horrors of nationalism and now it has to realize that it has not been enough. This should prompt us to rethink nationalism and no longer frame it as something exclusively negative. We might even discover some potential benefits of nationalism. SD: Ukraine has held its destiny in its owns hands for twenty years and has been forced to take on the challenge of building a national identity. These attempts run in parallel to Ukraine’s European aspirations, be it accession to the European Union or membership in NATO. Ukrainian society is looking at two challenges simultaneously. Is the situation the same as in the 1990s, or has the increasingly nationalist discourse brought a new quality to the discussion? Andriy Shevchenko: Absolutely. And Lviv is really the perfect place to discuss such an issue. For many centuries it has been the heart of Ukrainian nationalism. Twenty years ago, Lviv introduced the culture of political debate to the whole country, and today, after the recent local elections, the city is a stronghold for political nationalism. In Ukraine, nationalism is not just about building an independent nation state but for many years also meant opposition to totalitarian rule. It was an inspiring force of liberation. From a western perspective, this might be difficult to understand, but Ukrainian nationalism has always been about more than the freedom for the nation; it has been about freedoms for individuals. There are plenty of other differences. Nationalists in Poland or in France are in most cases eurosceptics. Here they are strongly in favour of EU membership or even NATO integration. In many countries in western Europe, nationalism is something aggressively intolerant, advocating the rule of the majority. Here, twenty years ago, the Ukrainian nationalists praised the Helsinki Declaration for its stand on individual rights. And while western European nationalists target ethnic or religious minorities, here, the national democrats have a longstanding cooperation with, among others, Crimean Tatars, who are predominantly Muslim. Does all of this make Ukrainian nationalism unique? Yes, I think so. On the other hand, every country has its very own unique nationalism, because very often nationalism is about daily politics and works as a tool for delivering instant critique of what the current government – which is representing mainstream politics – does or does not do. It’s only natural for Europe to have many different kinds of nationalism, because Europe is really about diversity. It’s about finding something different just next door. In Lviv you can walk from the Mickiewicz monument to Serbian Street or from an Armenian church to a Roman cathedral, in two different street corners you can hear a Polish or a Russian song and you can laugh at a Jewish joke. When you stop for dinner you can eat a Budapest-style goulash or a Munich-style Eisbein, you can drink a shot of Czech Becherovka or Austrian Marillenschnaps. This shows not only that this city is at the crossroads of cultures but that this whole country belongs to Europe. DVR: I do have to disappoint you on one point though, namely that Ukrainian nationalism is unique in that it is nationalist and pro-European at the same time. Flemish nationalism, the way we know it now, is exactly like this. So we are both unique. 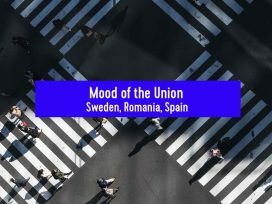 SD: Plurality is all good, but is the nationalism we have right now – propagated by the far-Right, especially in western Ukraine – really the continuation of a story that started in the 1990s? Or is it something new, something less inclusive? If so, don’t we have to deal with it differently? AS: Of course it’s different. Today, Ukraine faces quite different challenges from those twenty years ago. By 1991, Ukraine was sick and tired of being dependent; we knew what dependence was like. Since then we have learned what independence is. The next challenge is to learn what interdependence is. That means that nationalism now plays a very different role. If we really believe in this interdependence – which means being able to cooperate with other nations, including some very problematic ones – then we are in a good position to rethink the role of nationalism in this country too. SD: Is nationalism – as a way to pose a question about who one is and how one lives – compatible with the structure of the European Union? DVR: That seems to be the crucial question now, how can you reconcile the European dream of unification with the tradition of regional nationalisms? 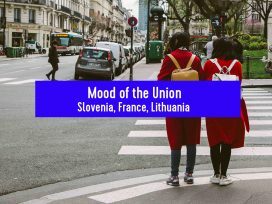 I think, rather than trying to get rid of nationalism, we must try to make Europe’s nationalisms cohabitate in a meaningful way. The distinction between nationalism in the 1990s and nationalism as it is developing now is interesting. There is a difference between liberal nationalism and radical nationalism, or between democratic nationalism and an increasingly undemocratic nationalism. There is nothing wrong with nationalism, as long as it doesn’t get in the way of other people’s freedom to express themselves, to develop their own forms of identity. When nationalism turns into a form of superiority complex, when it becomes a system for discriminating against people who don’t think like you, when it becomes a politics of symbolic violence, then it has transgressed the borders of liberal nationalism and turned into radical nationalism. And radical nationalism is incompatible with the European dream. Liberal nationalism, on the other hand, is perfectly compatible with the belief in Europe. That combination, though, has yet to be realized. For a very long time, we believed that being part of the European Union was enough to make us Europeans. But it hasn’t happened. Creating a common market is not enough to create a common culture. Creating a community of calculators is not the same as creating a community of citizens. 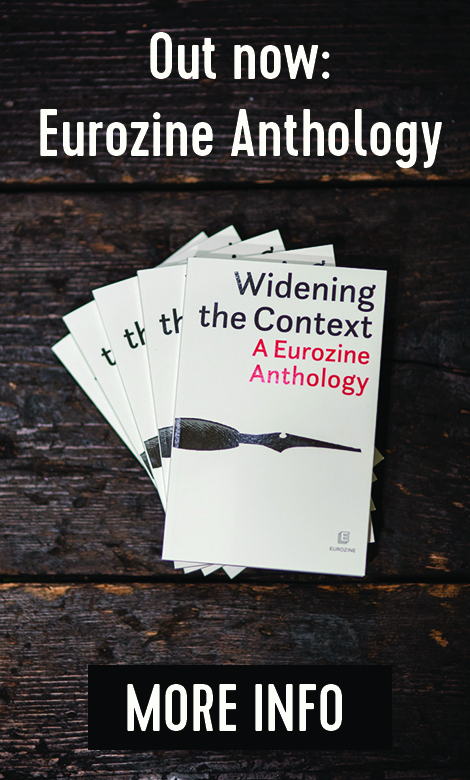 The only “real” Europeans are those who are highly educated, who travel a lot, who are cosmopolitan, who live in the cities and read Eurozine. Are all those who don’t stupid? I don’t think so. I still believe somehow in this dream of European unification that is more than economic unification, but it is not happening. The reasons it is not happening are various. It might have to do with the fact that the EU is abstract, it’s bureaucratic, it’s Kafkaesque and it’s multilingual. Do not underestimate the importance of language! The language policy of the EU consists in not having a language policy. All European languages are official languages. That’s wonderful, but at the same time highly problematic, because it means that no one ever talks to anyone. And it means that there is no common forum. There is no European public space. There is a book on the origins of French nationalism entitled Peasants into Frenchmen. It describes France around 1850, a massive country where the majority did not speak French. The population spoke Basque, Catalan, Breton, German, Flemish, Occitan… It was only the heart of the country that was Francophone. France developed a very conscious policy of turning those peasants that spoke different languages into a community of Frenchmen. By 1914, when Germany attacked France, people were proud French patriots ready to die for France. What was needed to create that French nationalism was a very strong language policy. Teachers in primary schools were not allowed to teach in schools in their own region but had to move elsewhere, which meant that teachers from the Breton-speaking region travelled to some place near the German border where they were not able to speak the dialect. In the end, everyone spoke French. Now here’s the question: Do we want the European Union to have one language? Do we want Polish teachers to come to Portugal and teach the European lingua franca there? No! And that’s the dilemma Europe is facing today: it wants to be an empire but it doesn’t want to use imperial means. It doesn’t want to impose a language policy. SD: The European Union has always emphasized the importance of regions. But regional identities produce national projects. Can the European identity project produce something that meets the same need for belonging as national and regional identities do? DVR: I don’t think that there’s anything wrong with taking a certain pride in your language or your region or your history or the landscape you were born in. I don’t believe in the sort of enforced cosmopolitanism propagated by many intellectuals. I am proud of the place I come from and this doesn’t turn me into a racist or fascist. However, it becomes problematic the moment that sense of belonging becomes a matter of closing your window and not wanting to see the relevance and the legitimacy of other people’s perspectives. The idea of liberal nationalism I put forward as an alternative is an intermediate position between a narrow-minded, radical nationalism on the one hand and an open minded, enlightened cosmopolitanism on the other. It’s clear that radical nationalism has no place in Europe, but it’s also clear that for the vast majority of Europeans, the rather empty cosmopolitan ideal doesn’t make a lot of sense either. If one cannot replace on a transnational level what has been lost at the national level, it is quite foreseeable that another form of identity politics will emerge. I’m absolutely convinced that nationalism in Hungary and Poland has grown because of the accession to the Union. We all believed that it would stop a nationalist dynamics. The very opposite has been true. In western Europe nationalism has also grown because of the European Union. The 2004 enlargement has been very badly digested; Europe all of a sudden doubled in size, and people were overwhelmed by it. AS: Europe is about the constant loss of identity and the constant search for identity. It’s interesting that in order to be successful on the national level, you have to promote your national identity. In order to be successful worldwide or inside the European Union, you have to give up your national identity. Pope John Paul II is an example of someone who constantly went beyond his own identity. He was a Pole, who in a very demonstrative way spoke many different languages. He was a Christian patriarch, who went to mosques and synagogues and who apologized for the Crusades. Europe is about being a Pole who goes beyond his national identity and being a Christian who goes beyond his religious identity. DVR: John Paul II might indeed have been the first pope that really travelled, for a while the Vatican seemed like a travel agency. If one sticks to this Christian track, the Bible tells us that we must love our neighbour as we love ourselves. That approach could also be applied to European integration. Nationalism, in its different forms, can be seen as a kind of self-love that might be necessary in order to better appreciate other people and other states. SD: Identity-building is on one hand a positive process directed inwards; a cohesive force, creating links between people. But it’s also a process that is directed against what is excluded, against the other. In western Europe, this has become more and more obvious as immigration has moved to the top of the public agenda. DVR: It’s true that most nationalisms in western Europe are anti-European and anti-Islamic. In eastern Europe, in the new member states, they are anti-European and anti-Roma. There are parallels between the discourses about Roma and Muslims. Ironically, the European Union is quite successful in challenging certain forms of extreme nationalism in accession states, but the moment these become official member states it loses its grip. Do you think that the Hungarian media law would have been possible when Hungary was aspiring to become an EU member state? No way! It seems as if the European Union is more effective outside than inside. It’s more effective in Albania and in Serbia than it is in Hungary. For those who aren’t yet inside, it seems to be very attractive. Is Ukraine predominantly pro-European because it believes in the European Union, or because it wants to distance itself from Russia? AS: For centuries, nationalism was about running away from Russia. If you look at the map of Ukraine, you’ll see that it looks like a creature with four legs with its face towards Europe and its tail towards Russia. For many people this image captures the nature of Ukrainian nationalism. But those who think that this model will survive for ever will be disappointed, because there are new challenges ahead that don’t fit such simplifications. DVR: What do people hope to win by becoming a part of the European Union? AS: For most people it’s about the economy, a better standard of living. The EU as a political project concerned with rights and individual freedoms is something that only interests a small number of intellectuals. For most Ukrainians it’s really about the possibility of a more prosperous life. DVR: Ukraine might need the European Union, but the European Union also needs Ukraine. It needs the optimism it can bring into the EU. Everyone in Europe seems to hate Brussels, the city in which I live. Brussels has become the metaphor, the pars pro toto for everything bad that Europe stands for. Frankly, it is frustrating to see so many people hating Brussels, to see the results of the referenda in Holland, France and Ireland on the European Constitution, to see that large parts of Europe no longer believe in the European dream. We don’t seem to be aware that outside the fortress Europe there are actually people longing to come in. Not only in Ukraine, Serbia and Turkey, but also all the Africans who land every day on the southern coasts of Spain or on Lampedusa. There are so many people who want to belong to this European project. That message isn’t heard in western Europe. I mean, it’s a rather miraculous story. For more than half a century, no member state has waged war against another member state. The social and economic standard has been constantly raised for almost sixty years now. That is quite an accomplishment in a time when the global order has shifted several times: the end of the Cold War, the end of the dotcom era, the current financial crisis. It might be going through some very rough waters right now, but the European Union is still there as a project that is able to secure the peace and to raise the living-standard of its citizens. It is fantastic to see the enthusiasm for that project outside Europe, but wouldn’t it be nice to see some of this inside Europe as well? SD: The European integration project was shaped by the experience of war. It was also very much a product of a social democratic political paradigm. Presently only two countries in the EU – Spain and Portugal – have social democratic governments. DVR: Yes, it was a post-war project with some social democratic idealism to it. And it has turned into a hyper-neoliberal project that is no longer post-war but sometimes seems to be pre-war. It will be interesting to see to what extent a sixty year-old post-war project can be adapted to a post-Soviet reality. The same goes for the United Nations, which is also a product of a post-war world order. It has been a fantastic institution but it has reached its limits. This is neither the time nor the place to discuss how to change the Security Council, but the question is similar to that pertinent to Europe: how do we turn this European project into a popular project again? One way of giving it a new momentum would be to do away with this abstract European cosmopolitanism. It’s not going to happen. I regret it very much, but we have to be realistic. Farmers on the Flemish countryside do not feel connected to farmers on the Polish countryside. So we need to find a new balance between the European structures on the one hand and the national democracies on the other. There is, for example, almost no national debate on European decision making. The national parliaments never confront their MEPs, no one says: “The law you voted for in the European parliament is so important that we want to discuss it with you”. We are not even allowed to vote for candidates from other countries, fellow Europeans. As a consequence, both politicians and voters go to European elections with national agendas, not European ones. Rethinking the European Union in order to accommodate the needs and necessities on the national level with the needs and necessities on the European level is a huge challenge, but one that we have to take on. 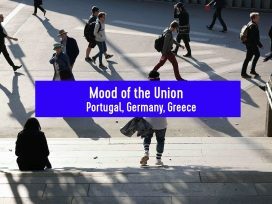 As if the European crisis wasn’t bad enough already, the financial crisis hit Greece, Portugal and Ireland, and for the first time in Europe we can now observe a phenomenon that until now we only knew from the national level: Germany doesn’t want to pay for Greece, just as northern Italy doesn’t want to pay for Sicily, or as the western parts of Germany don’t want to pay for the eastern parts anymore. For the first time, you can see a European tension that was previously only there at the national level. This is not a good sign. SD: There is a risk that the European Union will eventually fall apart. But nation states can also split up. Both Belgium and Ukraine are countries characterized by strong regional sentiments and tensions. Ukraine is still at the beginning of its history as a state and as one society. Is there anything that Ukraine can learn from Belgium? DVR: At the moment, separatism is probably much stronger in Belgium than it is in Ukraine. There are several parties that believe it would be better if the country fell apart. There is a divide between the northern part – Flanders, which is Dutch-speaking – and the southern part – Wallonia, which is Francophone. In the middle, but still in the Flemish part, is the city of Brussels, which used to be a Dutch-speaking city but has become predominantly Francophone. Brussels is a bi-lingual, chiefly French-speaking enclave in Flemish territory. If it weren’t for Brussels, Belgium would no longer exist. It is our East Jerusalem, both communities claim it as their capital. It’s like a couple that can’t get divorced because of the children – and the child is Brussels. Brussels is what keeps Belgium together. What also keeps us together is the national debt. So, make sure you have a lot of debts! Flanders could become independent tomorrow on two conditions: they let go of Brussels and they take on the national debt. But of course no one wants that. If you look at the percentage of people in Belgium in favour of Flemish independence, it’s a small minority, about 10 per cent. But the biggest party in Flanders at the moment, which is an overtly separatist party, received about 30 per cent of the votes in the last elections. This doesn’t mean that 30 per cent of the population are separatists, it just means that they like the leader of that party – and he happens to be a separatist. For almost four years, Belgium hasn’t had a functional government, because what the biggest party in the north wants is quite different from what the biggest party in the south wants. The biggest party in the north wants Flemish independence, and if that isn’t possible, at least more autonomy within the Belgian structure. The south doesn’t want to change much at all. The crux is to find a middle way, a state reform that goes far enough for the Flemish side and which doesn’t go too far for the Wallonian side. The end of the Belgian state would be a disaster. Not so much for the Belgians, but for Europe. Not because Belgium is an economic superpower, it isn’t, it’s a tiny little country. But what will happen to the European dream if one of the founding states can no longer keep itself together because it no longer believes that living in diversity is possible? What is the European Union if not a project of trying to live with diversity in political unity? The end of Belgium would mean the end of the European dream. AS: As far as the national debt goes, Ukraine seems to be doing quite well – in your terms. What you say makes me even more optimistic about the future of the country. People who speak about the division between the Ukrainian east and west tend to overestimate the willingness of the two to live apart. It’s about something else. As a person who was born in western Ukraine, who lives in Kiev but has spent a lot of time in eastern Ukraine, I can say that it is a competition for the right to impose this or that model on the whole territory. It’s not about splitting up. People in Lviv or Ivano-Frankivsk still think that people who live in Donetsk or Lugansk want to get rid of Kiev and return to Russia. That isn’t true, their project is a different one, namely to impose the model they believe in on the whole territory of the country – just like people in the west are doing. Once again, this makes me optimistic about Ukraine’s future as one united country. DVR: Here’s another piece of Belgian advice: the distinction between north and south was reinforced in the 1960s when a linguistic frontier was established. For a long time, the Flemish-speaking population had felt inferior, and rightly so. The constitution in Belgium was written in 1831, one year after independence. It was only translated into Dutch in 1968, almost a century and a half later. This shows to what extent Flemish-speakers were disadvantaged. To get out of that position people wanted to delineate the borders of what was to become Flanders. At first that frontier was just cultural, now it has become political. In national elections, Flemish citizens can only vote for Flemish candidates. It’s as if someone from Lviv couldn’t vote for someone from Sevastopol or Kharkiv. This has created a very negative dynamics, with politicians running for parliament with nationalist agendas. It has led to the conclusion that Belgium is not one democracy, but two half-democracies. How do you deal with two half-democracies? Separatists say: make it two countries, problem solved. Another solution, however, would be to make sure that you have one whole democracy, for example by applying the same system that I suggested for the EU: make sure that people from the north can vote for those from the south. So, be very careful with territorial divisions based on cultural differences. This is what happened in Belgium. It was understandable at the time – my own father fought for this linguistic frontier – and it gave Flemish-speakers a sense of pride. But it set in motion the disintegration process whose result we are seeing today.